Microsoft will reportedly block HTC from building tablets using its new Windows 8 operating system. The news came from Bloomberg on Wednesday, which said that Micosoft's decision was made following concerns that HTC doesn't have a large enough presence selling tablets or "ample experience" making them. One of HTC's largest competitors in the mobile space, Samsung, helped create one of the early Windows 8 machines and is largely expected to offer a Windows 8-powered tablet by the end of this year. HTC has struggled to compete both with Samsung and Apple in the smartphone space and, while its One X is one of the best smartphones we've used in recent memory, the company will face steep competition around the globe against Samsung's new Galaxy S III handset. HTC allegedly had several of its engineers prepared to develop a Windows 8 device with a "customized home screen," perhaps a Windows 8 version of Sense, but Microsoft turned down that effort. 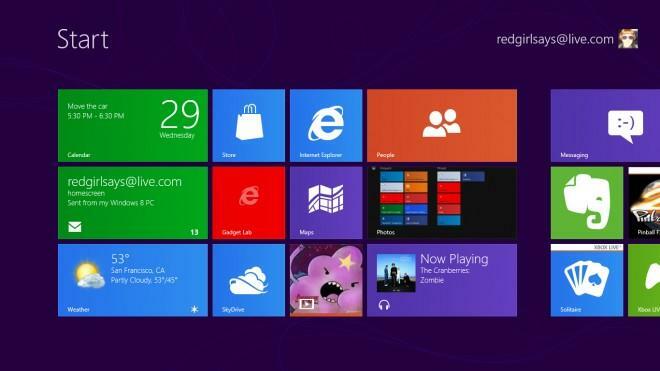 HTC, Bloomberg said, was also not on the list of firms that were given early access to Windows 8 builds. We hope this turns around in the future, however. HTC's smartphones are top-notch and we'd like to see it have a larger part of the growing tablet market.